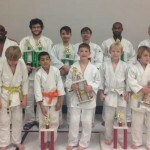 Promotion Night featured some up and coming judoka who have showed their dedication and persistence to the martial art. 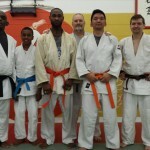 With Blair Watts and Demonn Smith presiding, Derek Clardy and Tsengee Erdenebayer were promoted to Gokyu Orange belt. 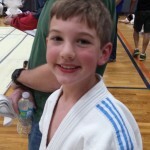 TJ has been in Judo for almost two years and has progressed steadily. TJ made a big splash by scoring gold at the 2017 Midwest Collegiate Judo Championships. 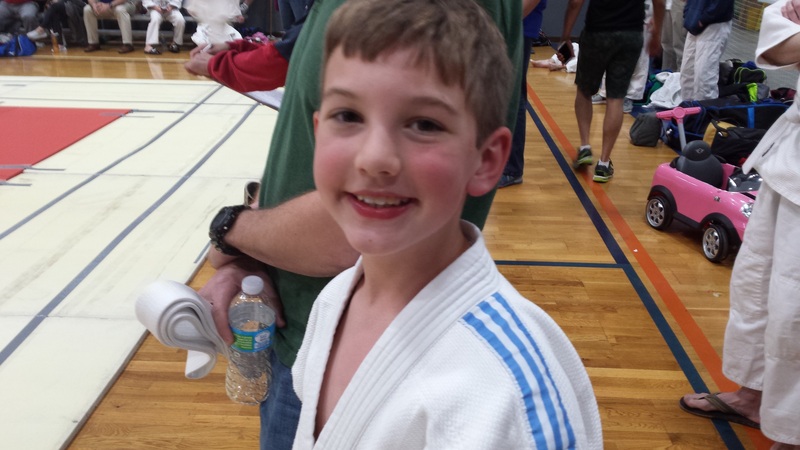 Derek Clardy has been in judo for 1 year and has won gold in his last 3 judo competition. Clardy displays raw athleticism, dedication and is eager to learn. With that attitude there is no limit of his success in the martial art. 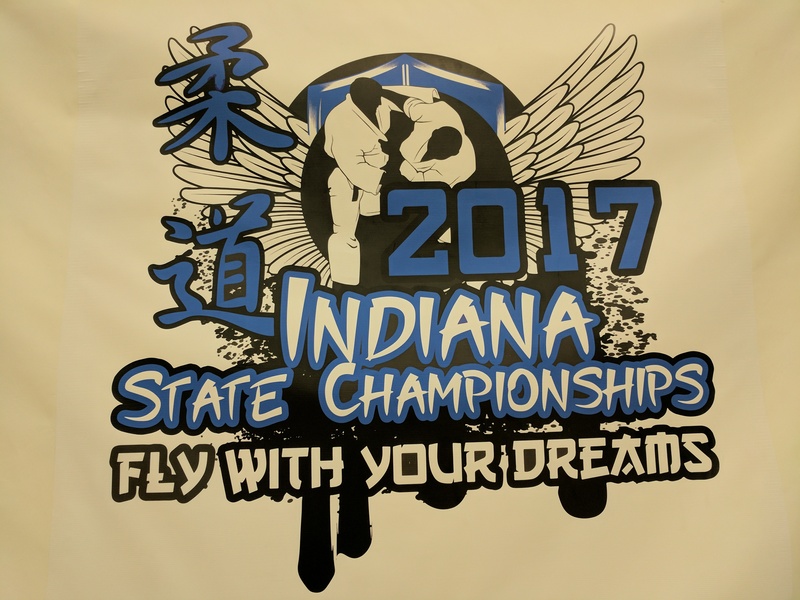 The 33rd annual North South Judo Tournament took place at the Family Sportplex in Belleville, Illinois on Saturday, May 6, 2017. The legendary Randy Pierce officiated this awesome event. David Burke assumed the head coaching duties for Team White Dragon. 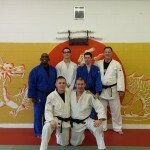 No member of White Dragon Judo Club was in the team competition. Team South fell to the North in convincing fashion. In the junior division, Mason Moore fought against superior competition in his category. Moore was relentless in his attacks winning bronze for the day. Trevor Judge was impressive in his second tournament of his short but promising judo career. The third generation grappler won gold going 3-0 on the day. 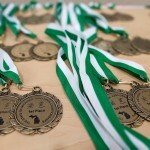 Manareldeen Fajor won his second consecutive Fighting Spirit Award for his gold medal performance in this tournament. 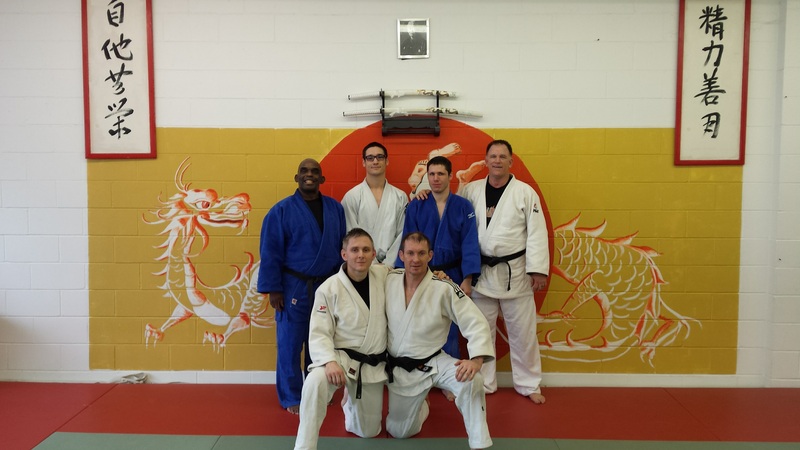 The senior division saw Byron Helmrich fight to a bronze medal in the lightweight division. Jay Baker won silver with a nice uchimata in the preliminary round. Phillip Vojta was splendid against a tough bracket and won silver. The MVP of the tournament was Derek Clardy. Clardy was tested facing some formidable opponents. The extra practice and dedication paid huge dividends as Clardy cranked out his third consecutive gold medal of the year. 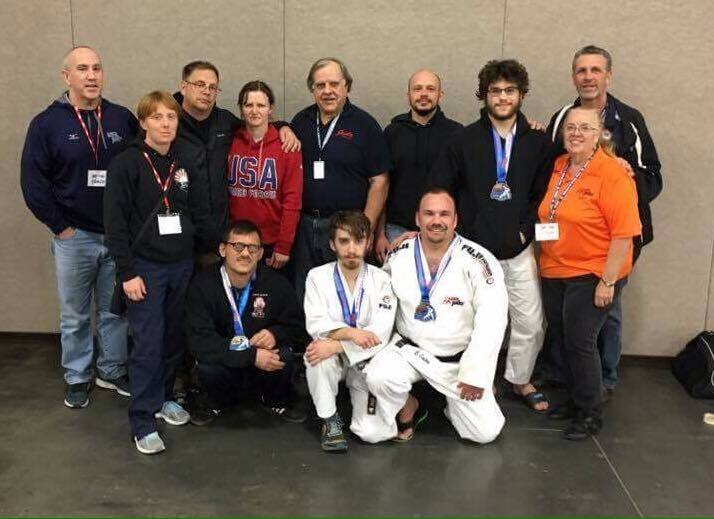 It was a good day for White Dragon Judo Club at the 2017 Senior Nationals. With 5 fighters and the excellent coaches Dave Burke, Derick Wellman, and the legendary Randy Pierce, the club was well represented. 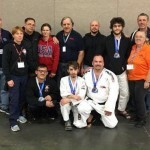 Byron Helmrich had some impressive performances, hitting an awesome foot sweep in his first match and earning a silver medal in the brown belt 66kg weight class. Adnan Gutic fought in the longest match of the day, with 25 minutes of total mat time in his first fight. He finally won when his incredible conditioning proved too much for his opponent, allowing him to score a throw. Immediately after, he maintained his lockdown on the 81kg visually impaired weight class, moving straight into further matches and dominating the opposition with superior ground fighting. He took home a gold medal. Jay Baker entered a tough division, being the only non-black belt in the pool. Despite this, he fought hard in some very competitive and thrilling matches, displaying a defensive agility not before seen by the skilled fighter. BE Bryan Enlow had his work cut out for him, fighting in the open weight category, ages 30 to 50. He fought a strategic game, using his gripping and O Soto Gari to control his opponents, battling his way to a bronze medal. Philipp Vojta got off to a slow start but fought his way to a bronze medal, dominating his opponent in his final match of the day with an Ippon Seoi Nage, moving straight into a choke. Overall, Team White Dragon made great improvement since the previous year, with most of the competitors either moving into more difficult divisions, or placing higher than they had done previously. 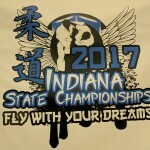 The 2017 Indiana State Judo Championships took place on April 8, 2017 at Jay County High School in Portland, Indiana. The tournament was officiated by the legendary Randy Pierce, Derick Wellman and BE Bryan Enlow. Team White Dragon was led by team captain Demonn Smith. The junior division featured the Fajors trio. Dina Fajors got off to a slow start but finished strong to take a bronze medal in her division. Big sister Saba Fajors went 3-1 on the day and took silver. Manareldeen Fajors was in a tough weight class at this tournament. Manare’s talents shined to win a bronze medal. In the senior divisions, Jay Baker had a solid tournament and got a silver medal. Byron Helmrich pulled off a couple of upset victories on his way to a silver medal showing. Demonn Smith took bronze in the veteran heavyweight category. Phillip Vojta was the MVP of the tournament. Vojta had his best performance of the year winning gold in two division. 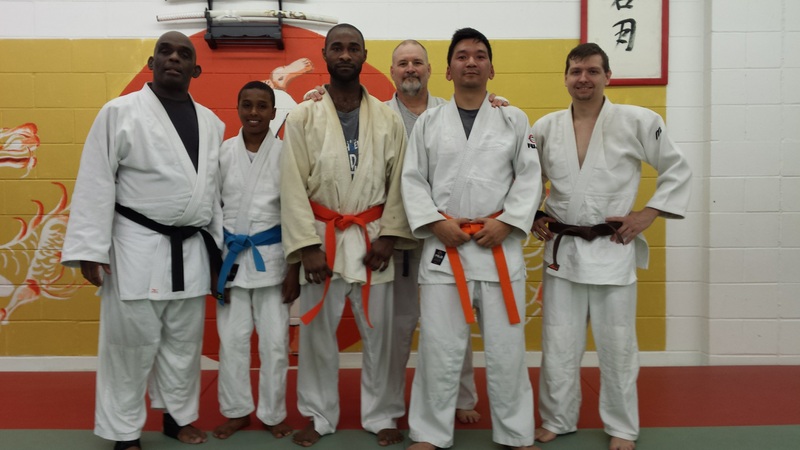 White Dragon Judo Club held an open workout on March 31, 2017. This unique open workout was held in the morning at 9 am. The judo workout featured Gustav Terro de Amaral. Gustav is from Sweden. The Sandan has competed internationally in Judo for more than 20 years. Currently he is touring the United States sharing his knowledge of the martial art. In the workout, De Amaral shared a modified version of Ouchigari with the students. The savvy veteran displayed his great kumi kata techniques. He concluded his judo tutorial with a counter to drop seoinage and a newaza turnover. The students were nothing short of enlightened and inspired by his enthusiasm. The 2017 Konjo Dojo Judo Championships took place at the Hillsboro Intermediate School in Hillboro, Missouri on April 1, 2017. The tournament director for the event was the legendary Randy Pierce. Randy Pierce, Bryan Enlow and Derick Wellman officiated this regional event. For the second consecutive year EG3 Eugene Hamilton was the head coach of Team White Dragon. In the junior division, Alex Halon was making his second consecutive appearance at this tournament. He fought splendid and continued to show improvement in his matches. Fred Heidmann scored a second place finish going 3-1 on the day. Dina Fajors made significant progress in her sixth tournament. She place second in her division. Trevor Judge performed well in his shiai debut. The third generation grappler displayed enormous potential winning 2nd place in this tournament. Mason Moore also made his shiai debut. Mason displayed excellent technique for a judoka at his level. He won second place for his efforts. “THE CAM” Cameron Duffield was superior to his opposition. “THE CAM” went undefeated for the second consecutive time in this event. Warrior Princess Saba Fajors showed her dominant kumi kata was no match. She took first in her category. Manareldeen Fajors made his 7th consecutive first place finish of the year. Derek Clardy is beginning to make a name for himself in the senior division. He placed first in his second successive tournament. Bryron Helmrich took second in his weight class. In the veterans divisions, Demonn Smith was third amongst a talented heavyweight division. Ryan Morrow took second in his second tournament back from retirement. Jay Baker’s game is surging. Baker maintained the element of surprise and took 1st with a great Ouchigari in the final. The MVP of this tournament was Philip Vojta. The rising star won 2nd in middleweight division and took the Open division by storm. He won first place with a thunderous left seoinage in the final. 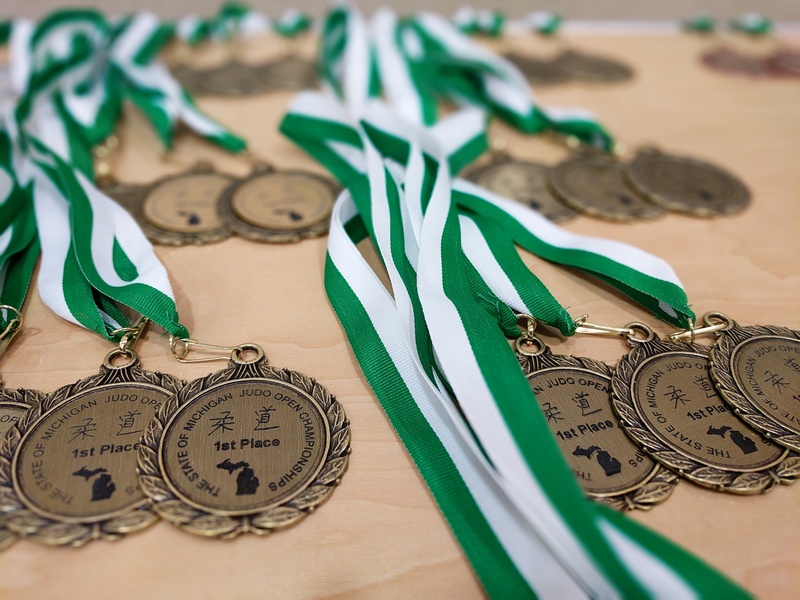 Michigan State University was the site of the 2017 Michigan Open Senior and Junior Championships on March 19, 2017. Manareldeen Fajors was competing in his third tournament in two weeks. The junior lightweight division displayed some tough opposition for the young judoka. The gold medal match was a serious challenge for Manare as his opponent brought his A game. Manare countered with his own A game and won the match via osaekomi. 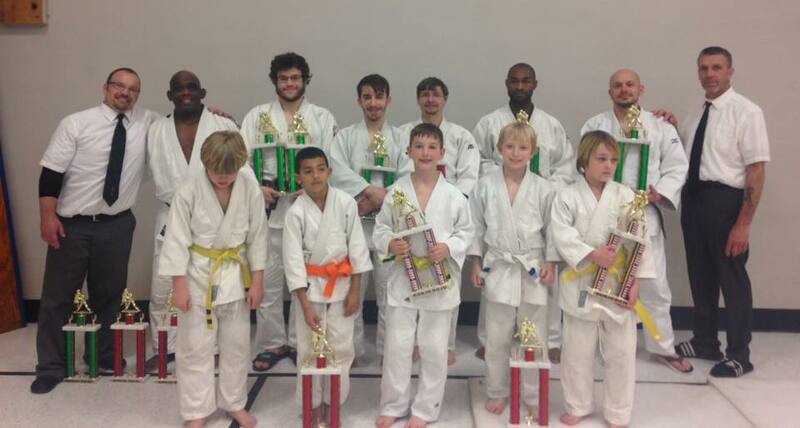 Despite the win, the tournament was learning experience for the young judoka. 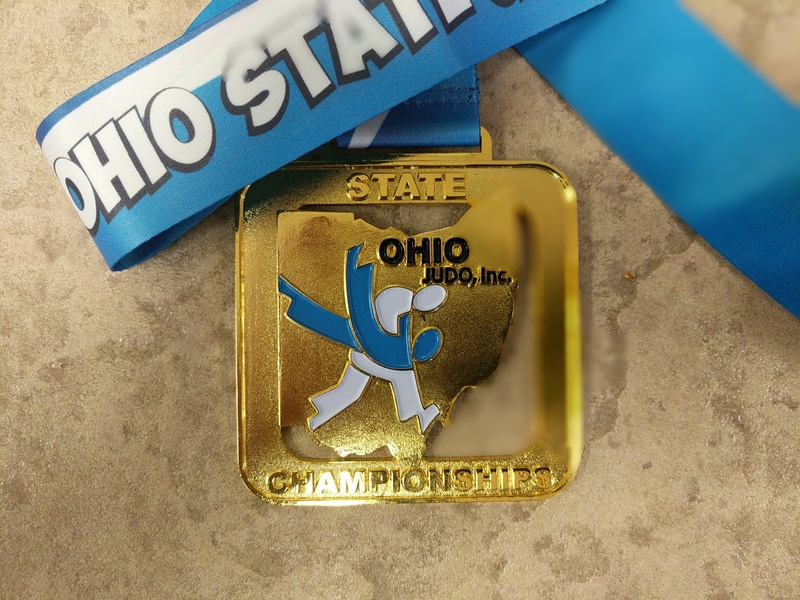 The 2017 Ohio State Judo Championships was held on March 18, 2017 in Lima, Ohio. Manareldeen Fajors dominated his competition winning his second consecutive state championship of the year. In the gold medal match Manare executed a superb morote seoinage on his opponent. Manareldeen has been nothing short of awesome. He has tallied up five straight gold medals so far this year.